Bert Meijer, professor of Organic Chemistry, wins yet another eminent science prize. On 10 June he will receive the Chirality Medal 2018, in Princeton, USA. This prize is reserved for an elite list of laureates that includes four Nobel prize winners. The Chirality Medal was initiated by the Societa Chimica Italiana in 1991 to honor internationally recognized scientists who have made a distinguished contribution to the study of chirality. The gold medal is awarded each year at the International Symposium of Chirality (ISC) by a Chirality Medal Honor Committee. This year Princeton University is the venue of the symposium. Chirality refers to the fact that certain molecules have several versions, with slightly different geometries, just like a left and right hand being the same yet not identical. Chirality is very important in chemistry as different versions of molecules tend to have different properties. In drugs, for example, this may cause significance differences in efficacy and side effects. Professor Meijer is receiving the award for his seminal contributions to the design and study of chiral supramolecular systems and materials. The awarding committee praises his pioneering role in the field of supramolecular chemistry, of which he is one of the founders. In Meijer’s self-organizing molecular systems chirality plays an essential role. The different versions of molecules lead to different supramolecular structures and hence different characteristics. 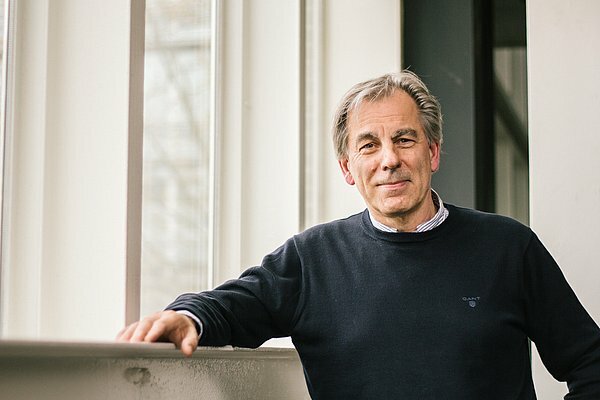 Bert Meijer is the second Dutch scientist to receive the Chirality Medal. In 2009 the Dutch scientist and 2016 Nobel Prize Winner Ben Feringa won the prize.